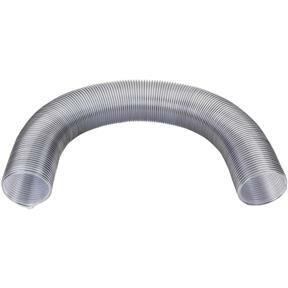 We carry hose diameters for many different applications. Spiral wire reinforced clear hose allows easy inspection for locating potential clogs in your duct system. The hose is sturdy and works great. Wish it came with a couple of clamps. Product as described. Good quality and timely shipping. I needed this size hose for a special application. It seems to be a good product, just as advertised. I wish I understood the reason for special shipping charges. Not really sure why they hit you with an oversized item charge, the box really isn't that big and certainly not heavy. We will have to wait and see how it holds up through cold winters.